Thin Film Spectroscopic Reflectometer is a fundamental instrument used for thin film thickness analysis for industry & research. 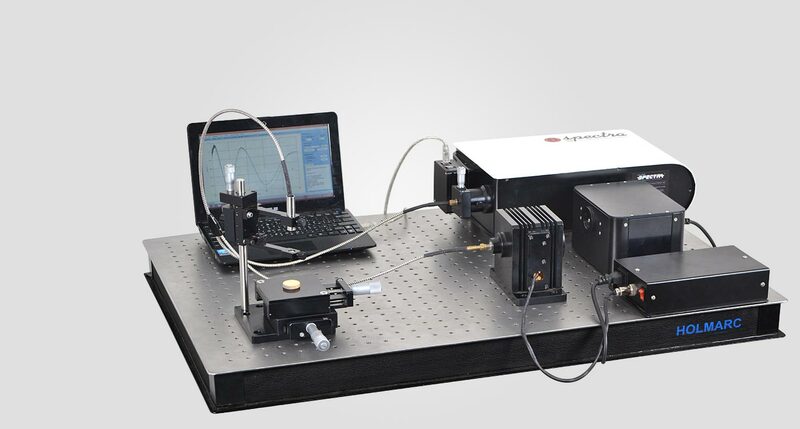 Holmarc’s TFSR Model No: HO-HAI-TFR-01SP is able to analyze thin film’s thickness, complex refractive index & surface roughness with high speed & repeatability. TFSR theory works with complex matrix form of Fresnel equations for reflectance & transmittance. 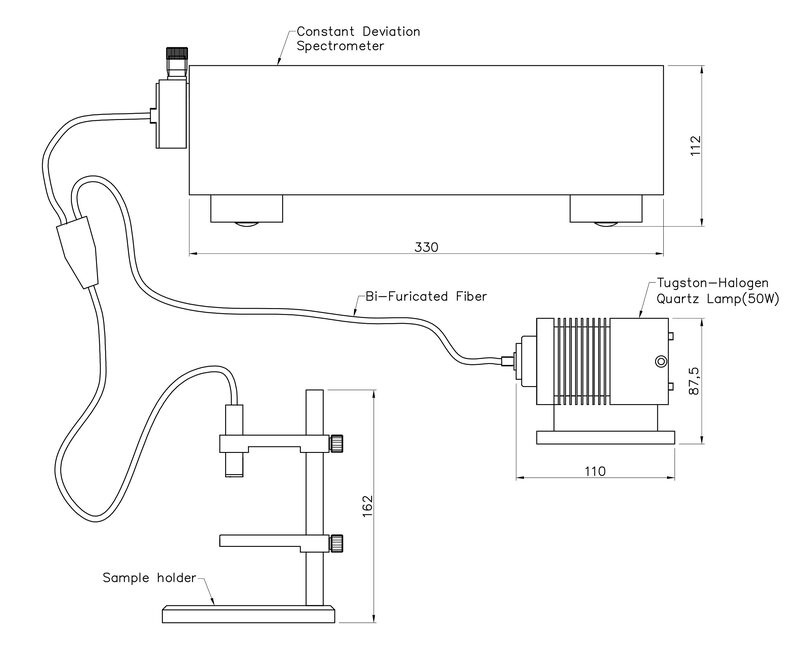 Absolute reflectance spectroscopy is the principle behind Reflectometer; which is the ratio of the intensity of the reflected light beam (usually monochromatic) to the intensity of the incident beam. Light beam which normally incidents on the sample surface in turn reflect from top & bottom of the thin film surfaces which get interfere & is directed through Optical fiber to CCD attached spectrometer via computer. On the monitor we get spectrogram with interference oscillations directly proportional to thin film thickness. Holmarc’s Reflectometer can be used to analyze single, multilayer, free standing & rough layer thickness of various stacks such as di-electric, crystalline, amorphous, metallic & absorbing samples. Roughness treatment is done with EMA modeling.